Darlin’ Deals Review ~ GB Car Seat Sweepstakes! Disclaimer: Darlin’ Deals is not responsible for product safety, sweepstakes outcome, or prize shipment. All thoughts and opinions are my own other than factual information about Sweepstakes that was supplied to me. I participated in a Blog Blast Activation on behalf of Influence Central for GB. I received a promotional item to thank me for my participation. Car seats safety is so important. Your little one’s body is so fragile and still developing so its crucial that you select a car seat that can provide optimum protection for them. There are so many products on the market that sometimes it may be difficult to decide. GB makes your choice simple by placing their priority on safety with the GB Asana35 AP Car Seat. Their unique 3-way FirmFit System provides peace of mind. In addition to safety this car seat offers additional features that are sure to make lugging a car seat around outside of your vehicle much easier. The car seat’s carrying handle has an ergonomic grip and a lightweight frame (just 9.2 pounds). To help spread the word about GB’s newest car seat, the Asana35 AP, they have launched a Sweepstakes with weekly prizes available. Prizes include $500 Babies R Us gift cards and second and third place prizes of GB Stroller and GB Car Seat! Be sure to enter for a chance to WIN weekly Babies R Us gift cards or a GB Stroller and Car Seat! You can even earn bonus points (extra entries) by adding your Babies R Us Registry number and be entered to win weekly prizes of $50 or $100 Babies R Us gift cards. 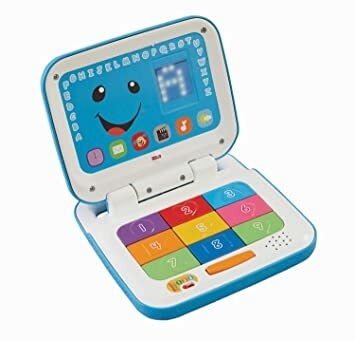 Fisher Price Laugh & Learn Laptop is 50% OFF! It has a 4.5 out of 5 star review from 90 customer reviews. Darlin’ Deals Review ~ Tinkerbell and the Legend of the Neverbeast screening at the Walt Disney Studios! Disclaimer: I received an invitation to the Walt Disney Studios for an exclusive screening of Tinkerbell and the Legend of the Neverbeast. I was not persuaded to write a positive review. All thoughts and opinions are my own. As an adult the obsession didn’t end, once my son was born I counted the days until his 1st birthday for many reasons, but one of them was to celebrate at Disneyland (of course I talked my husband into getting season passes so we could return often as a family). My son quickly became a Disney fanatic as well and even loved the show Handy Manny so much that I decided to theme his 1st birthday party with décor based on the Disney Junior show. We even decided to go on a Disney Cruise as our first major family vacation! I’m sure with this little glimpse into my long-time love of all things Disney you can get an idea of the level of excitement that I felt being invited to the Walt Disney Studios for an exclusive screening of Tinkerbell and the Legend of the Neverbeast before its release to DVD and Blu-Ray. Upon arriving at the Walt Disney Studios there was a large building on my right hand side that caught my attention. The building (known as the Team Disney building) was massive and featured enormous statues of the Seven Dwarves ‘holding up’ the roof of the structure. Since that building was located near the entrance of The Walt Disney Studios it provided an amazing first impression of the expansive Studio Lot that I was invited into! After passing the Team Disney Building courtyard we were ushered towards the back of the lot where the Main Disney Theatre was located. The theatre was just as impressive as the Team Disney Building near the front gate. Although the front of the Theatre building was much more simple in design it still was incredible to realize that the Disney Studios had a real movie theatre on the premises. Once we stepped inside the entrance you are in the presence of a full size theatre set-up complete with a concession stand area and stadium style seating in the viewing room. As if this visit wasn’t already thrilling enough the movie introduction was given by the woman who voices Tinkerbell, Mae Whitman, she was there in person to welcome us all to the viewing of her latest movie! One of my favorite childhood characters was Tinkerbell so I had a child-like awe being in the presence of Mae, the voice behind that sassy little fairy Tinkerbell. Tinkerbell and the Legend of the Neverbeast also features the voice talent of Ginnifer Goodwin (from Once Upon a Time) as Fawn the mischeviously curious but loveable Fairy. The movie itself exceeded all of my expectations. Generally when a movie goes straight to DVD it has a stigma attached to it that it wasn’t good enough to be released in theatres. This was NOT the case with Tinkerbell and the Legend of the Neverbeast! This adorable, suspenseful, and silly movie would have been a hit if it reached the big screen. Luckily children will still have the opportunity to enjoy this great movie at home over and over again since it was released on DVD and Blu-Ray on March 3rd. I won’t spoil the plot for you in case you haven’t seen it yet except to say that your children will be asking for a pet Neverbeast after they watch the movie – my son is still talking about that fuzzy little guy weeks later I highly recommend purchasing this movie, its sure to be a family favorite! TODAY ONLY (3/25) Amazon is offering 40% off Hasbro Toys including Play-Doh, Mr. Potato Head, Nerf products and more! *Remember Amazon pricing and availability can change at anytime. Old Navy: $2 Tank Tops! Yay! Today and tomorrow (3/20-3/21) Old Navy is offering their Women’s Tank Tops for just $2 (normally $8.50) in a variety of colors! They are also offering $10 Super Cash for every $25 you spend, so this is a great time to shop at Old Navy. Offer valid in-store only. Limit 5 per customer. While supplies last. Darlin’ Deals Giveaway ~ Omaha Steaks Easter Dinner Combo! Disclaimer: Darlin’ Deals did not receive products or monetary compensation for this post, this is simply a cross-promotion of a giveaway being hosted by Coupon Savvy Sarah. 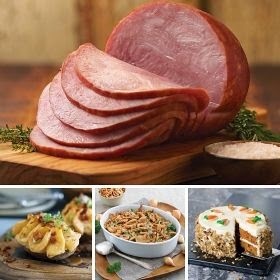 The featured products were provided free of charge from Omaha Steaks to Coupon Savvy Sarah to facilitate this giveaway. 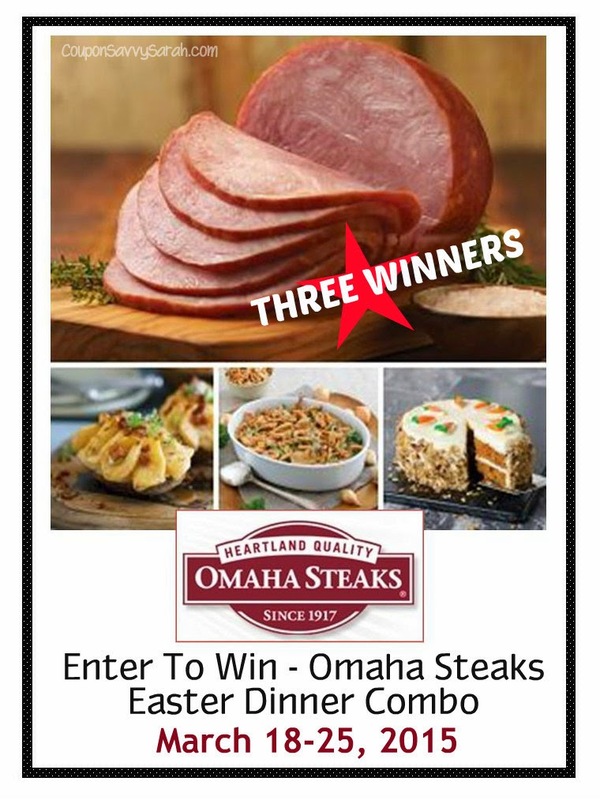 Darlin’ Deals is proud to promote an Omaha Steaks Easter Dinner Giveaway! Enter for your chance to win on the Rafflecopter form below. Giveaway Terms: Giveaway will run March 18-25, 2015 with the giveaway ending at 11:59PM EST on March 25, 2015. Winner must be 18 years of age or older. No Purchase Necessary. Winner must reside in continental US – No PO Boxes please. Entrants must complete mandatory entry or all other entries will be forfeited. Winner has 48 hours to reply to winning email notification or forfeit prize. Coupon Savvy Sarah & Darlin’ Deals are not responsible for prize fulfillment or lost mail. Darlin’ Deals Review ~ Carter’s Clothing + Exclusive 25% Off Coupon! Disclaimer: I received a complimentary Carter’s gift card in exchange for my honest review. I was not persuaded to write a positive review. All thoughts and opinions are my own. I participated in an Influencer Activation on behalf of Mom Central for Carter’s. I received a gift card to purchase Carter’s clothing to facilitate my review. Thank you to Mom Central for facilitating this opportunity. Now that Spring is upon us its time to put away those bulky winter coats ..well I live in Southern California so if you’re in a warmer winter climate like me you’ve begun to pack up the cardigans and windbreakers 😉 A new season always brings about a reason to do some shopping for adorable new outfits for your little ones and Carter’s is one of my favorite places to shop. Whether its an Easter dress, Polo and Slacks, Baby’s 1st Easter, or just a simple tee shirt you’re looking for Carter’s has it all! Carter’s is running a #SpringIntoCarters campaign to promote their new Spring line that hit stores recently. I was generously offered a gift card to shop at their stores to pick up a few clothing items for my children. Last weekend I took my son with me to the mall to browse our local Carter’s store. Upon walking into the store I noticed all the adorable pastel colored clothing and was immediately excited to shop for something other than pants and long-sleeved shirts – Spring is truly upon us! In May we are going to take a family cruise so I was very excited to see that in addition to the Spring and Easter themed clothing there was also an adorable anchor print style of clothing available for boys & girls! I picked up a polo with an anchor on it for my son to wear to dinner on the cruise and I bought my baby girl a pair of PJs that had anchors and sailor stripes. My little guy had fun following me around the store with a Carter’s brand lion finger puppet on – that he later talked me into purchasing for him. >> If you’re planning to do some Spring shopping for the kiddos be sure to print out this EXCLUSIVE 25% off Carter’s purchase coupon image below. Darlin’ Deals Review ~ Hey Dude: The Complete Series on DVD! Disclaimer: I received complimentary Hey Dude: The Complete Series on DVD in exchange for my honest review. I was not persuaded to write a positive review. All thoughts and opinions are my own. If you’re a child of the 90’s like me you’ll shout Yee-Haw! when you hear that the beloved series, Hey Dude, is now available on DVD! Set at the fictional Bar None Ranch, a group of teenagers run a Camp program owned by Mr. Ernest. Of course as was typical for 90’s sitcoms lots of hijinks ensue throughout the series. A well-known celebrity even got her start on this show, Christine Taylor played Melody a lifeguard for the Bar None Ranch and this box set DVD includes a newly filmed interview with her. The complete series features all 65 episodes that aired on Nickelodeon during its short stint from 1989-1991. It has a runtime of 25+ hours filled with episodes and bonus features. This cult sitcom favorite is available exclusively at Walmart, so head on over there to snag a copy for yourself! No monetary compensation was provided to Darlin’ Deals for this review, only complimentary products were sent for review purposes. Darlin’ Deals Review & Giveaway ~ Windy Pouch Animal Jackets! Disclaimer: I received complimentary Windy Pouch jackets in exchange for my honest review. I was not persuaded to write a positive review. All thoughts and opinions are my own. My biggest frustration with all the necessities that kids require is that they take up so much space in the car. I literally have had the entire floor of the backseat covered in coats since I forget to take them out. I bring a new one each time we go out because I can’t remember if there is one – or in my case 700 – jackets in the car. With the thought of the jacket covered floor of my car in mind I happened upon a company called Windy Pouch at this year’s Baby & Kidz Expo. Windy Pouch has created a unique and compact solution to needing to tote along a jacket for the kiddos every time you leave the house. They came up with a foldable wind resistant jacket that folds into itself and stores in a connected animal designed pouch! Here’s a brief synopsis of this company: WINDY POUCH was founded under the fundamental principals of simplicity and functionality. We have created and designed the first pocket windbreaker in the marketplace. We currently have a patent pending on the design and function as well as a Trademark for the label/brand WINDY POUCH. The jacket is available in six styles and one size fits all (toddlers up to 5 yrs). Windy Pouch generously offered to send me all 6 designs to review and I must say they are even cuter in person! Each animal jacket has wonderful detail in the design and has a high quality feel and look to it. They have a clip at the top so you can hang them on your purse, diaper bag, or even attach them to a child’s backpack. My 5 year old son was so excited to try each one out starting with the chicken. The jacket easily came out of the pouch and surprisingly it wasn’t as wrinkly as I would have thought since its packed into a tiny animal pouch! Upon putting the jacket on my son said it was comfy and it buttoned up perfectly on him, so the suggested age range is accurate and would definitely fit younger kids as well since it was slightly short on him. My favorite part about the jacket was that the animal design still shows in the lower end of the jacket when its worn. To store the Windy Pouch jacket again it conveniently folds into itself and has a drawstring to keep the jacket cinched inside the animal pouch. Personally I think a variety of sizes would be a nice option with these wind resistant jackets so they can fit each child based on their age/size – how cute would little babies look in these coats. Windy Pouch is in the beginning stages of launching their product line so that may be something they will consider in future roll-out of products once they can better gauge the needs of their customer base. Overall I was very impressed with this innovative childrens’ windbreaker. I would highly suggest it to anybody looking for a compact lightweight jacket for their young child. To place an order for any of these adorable Windy Pouch animal wind resistant jackets you can email: gsolutions.mj@gmail.com or call directly to place your order: 310-413-9422 and 661-802-8568. These adorable animal shaped jackets cost just $12.99 (plus shipping). Global Solution’s website WINDYPOUCH.com will be activated shortly. Windy Pouch has generously offered to give 1 lucky Darlin’ Deals fan 2 Windy Pouch animal jackets! Enter for a chance to WIN on the Rafflecopter form below. ALL entries will be verified. This giveaway is in no way affiliated or sponsored by Facebook, Twitter, or Pinterest. Darlin’ Deals is not responsible for prize shipment. Darlin’ Deals is not liable or responsible for product use and is not affiliated with the company featured in this review, for specific question or concerns regarding products featured in this review please contact the company directly. Must be at least 18 years old to enter and have a US mailing address. No monetary compensation was provided to Darlin’ Deals for this giveaway, only complimentary products were sent for review purposes. FREE Transformers movie digital copy! HURRY to snag a FREE Transformers digital movie download from Google Play! Be sure to choose the HD option when prompted because that’s the one that’s free. Dueling alien races, the Autobots and the Decepticons, bring their battle to Earth, leaving the future of humankind hanging in the balance. Note: You will need to enter credit card or PayPal account info at checkout, but it shows as $0.00 so Google Play is not charging you.